We hear plenty about the observances of Purim: the parties, the drinking, the gifts of food, the masquerading and Megillah reading. But have you ever wondered if there is more to it all? Join us for a lecture that will go beyond the external aspects of the story of Purim and dig deeper to uncover the powerful mystical messages concealed within. At the home of Rabbi Yitzchok & Malky Schmukler, 1910 Claiborne Dr, League City. Reservations now open for Purim Festa! Reservations are now open for our big Purim bash featuring a buffet dinner with delicious Italian cuisine, masquerading, a multi-media enhanced Megillah reading and lots of fun for all ages! Italian Flavored Purim Festa will be held on Sunday, March 16, 5:30 pm at the Comfort Suites hotel in Webster. Join us next week, Saturday, March 8, for a Shabbat morning service and Kiddush lunch. Service at 10:00 am followed by Torah discussion and buffet Kiddush lunch. To RSVP: info@JBayArea.org or 713-398-2460. Come out this Sunday for the Houston Kosher Chili Cookoff! At the ERJCC on Braeswood. This year’s event is expected to be even more successful with more cooking teams and vendors in attendance. This event is all about bringing the Jewish Community together for a day of food, fun and festivities as well as to raise funds for important non-profit organizations. This year’s event promises to be the biggest kosher chili cookoff in the state: More teams, more vendors, more entertainment and more children’s activities. Visit www.HoustonKosherChiliCookoff.com for additional information. 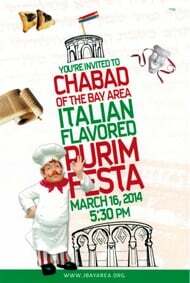 With Purim only weeks away, excitement is building for the annual Chabad of the Bay Area Purim party! This year's party, 'Italian Flavored Purim Festa' will be held on Sunday, March 16, 5:30 pm at the Comfort Suites hotel in Webster. Last week's Bay Area Shabbaton was a huge success! Over 40 people gathered to enjoy a delicious Shabbat dinner together and hear a talk by Judge Sara Goldberg, Esq, who entertained and inspired her listeners with her talk, 'A Jewess in the Judiciary'. The Shabbat evening program was followed up by a Shabbat day program featuring services, a Parsha discussion and a refreshing Kiddush lunch! This Sunday, February 23, 2014, hundreds of youth and adults from across Houston will walk for The Friendship Circle, a local organization that helps children with special needs. The walk will kick off at 2:00 pm from the J.F.S. on Braeswood, and make its way to the Beth Yeshurun Pulaski Rauch Auditorium for a fair, rides, food and a BMX stunt show. The fair is from 3:00 to 5:00 pm. Visit www.houstonfriendshipwalk.com for more information. You've read it here first! Exclusive news scoop, stop the presses! PURIM FESTA: An Italian flavored Purim party featuring a delicious dinner and fun for the whole family! The beautiful PURIM FESTA card is said to be arriving in Bay Area mailboxes over the next week, so keep an eye out for them! Sunday, March 16, 2014 at 5:30 pm to be held at the Comfort Suites hotel in Webster. 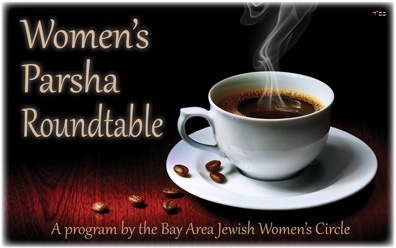 Starting this week: Women's Parsha Roundtable! Ladies, take a break from the hustle and bustle for a bit of Jewish rejuvenation! Women's Parsha Roundtable is launching this week! Our very own Rabbi Yitzchok Schmukler will be presenting this Sunday at the Yom Limmud, the community wide day of learning in Houston. A Kabbalistic look at why the actions of mere mortals matter so much in G-d’s Universe. For more about Yom Limmud see here. 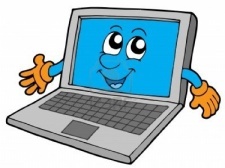 Chabad of the Bay Area is in need of a laptop computer. As long as it is in decent working condition and can run a recent version of Windows, it would work for us! Please contact Rabbi Yitzchok Schmukler, rabbi@JBayArea.org or 713-398-2460. Adult $18, Child $10, Sponsors: $72, $180, $360. Just one week away - it's time to reserve: Shabbat dinner with guest speaker! Join us next week, Friday, February 14 for the BAY AREA Shabbaton, featuring a delicious, full-course dinner and a talk by Houston's YOUNGEST JUDGE, the Honorable Sara Goldberg. 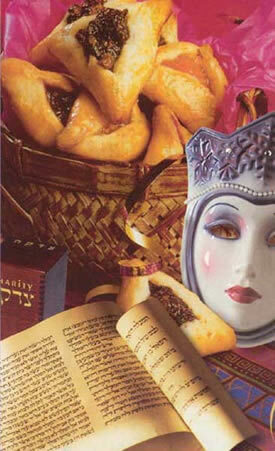 Save the date: Grand Purim Celebration! Another exciting Purim celebration is being planned. Be sure to save the date so you don't miss any of the fun! Sunday, March 16, 2014 at 5:30 pm to be held at the Comfort Suites hotel in Webster. Coming Soon: Women's Parsha Roundtable! A record turnout of close to two dozen students are participating in the JLI course which started up this week (in Clear Lake & Galveston). The acclaimed course, To Be a Jew in the Free World, looks to recent Jewish history to gain perspectives on navigating the unique challenges and opportunities that we face today as Jews. This is a six-week course, so it is not too late to join in! Show up at the next class to try it out, or sign up by contacting our offices, or visiting www.MyJLI.com. The Bay Area Jewish Women's Circle event, 'Feel Beautiful: Inside & Out', was held this week, and a great time was had by all! Participants enjoyed learning beauty tips from professional make-up artist, Rivki, and discovered the three character traits that are at the foundation of spiritual inner beauty from Malky Schmukler. New Feature: "All in the Family"
You may have noticed several enhancements in 'The Jewish Wave.' One of these changes is the addition of a new feature called, "All in the Family:"
Whether it's a joyous occasion, a notable milestone or a moment of sadness, find out what's happening in the Chabad of the Bay Area family!